Overview: “How soave”, drum roll and a dry cough, tumbleweed tracking across the keyboard. Sorry, couldn’t help myself there, puns are like bad jokes, they sound so good as they are leaving your lips but once they are out there, spoken and free there are always followed by a cringe and a moan. Soave is an Italian white wine that is produced in the Veneto region of Italy. Soave is made from a grape variety called Garganega. The name sounds like an evil Transformer. Soave is made up of 70-100% of this variety but other varieties can be blended in small quantities. These varieties include Trebbiano and Chardonnay. Never heard of the variety before? I’m not surprised, there is only one producer that I know of in Australia that produces Garganega, Domain Day in the Barossa Valley (If there are more I’d love to know about them, email below). The wine in this review is probably the most recognized Soave outside of Italy, it’s made up of 85% Garganega (Michael Bay, I’m watching you. You’ve ruined my favourite childhood cartoon and I will not let you do the same to poor old Garganega) and 15% Trebbiano. Soave Classico means that the fruit comes from a specific area within Veneto. This fruit comes from the hillsides around Soave and Monteforte d’Alpone. Tasting note: Aromas of straw, lime juice and underlying mineral tones. A palate of spice, rich pineapple, melon and elegant citrus. Well integrated acid helps the wine linger. Final Say: This is a benchmark Soave, elegant and rich. It will match well with seafood and delicate pre-dinner dishes. If you’re familiar with other Italian styles such as Pinot Grigio and Arneis but want to try something new give this wine a go. It sells for between $30-$40 a bottle. Overview: What are Biodynamic wines? This is a question I am often asked. It is a question that is harder to answer than you would believe. Biodynamic agriculture is a method of organic farming that relies upon the relationship between soil, plant, animals and sustainable farming. For a winery to label their wines as Biodynamic they must follow guidelines that were defined by Rudolf Steiner in 1924. These guidelines seem archaic but have had great benefits for those who follow them. Biodynamic wineries do not spray chemicals such as Fungicides and Insecticides. Fertilizers must be from organic origins. Instead they follow the practices set by Rudolf Steiner which include burying cow manure in a cow’s horn in soil over winter. The horn is dug up after winter and the manure is mixed with water and sprayed on the vineyard soil as a liquid fertilizer. They also advise that Chamomile flowers must be sheathed in a cow’s intestine, hung in the summer sun and then buried in the ground over winter and then dug up in spring. The flowers are to be extracted from the intestines and incorporated into compost used for fertilizing. No I’m not joking. Google the guidelines, they’re fascinating. Delatite are a Biodynamic producer that also believe in minimalistic winemaking practices to ensure that their fruit and the wines they make display the most pure characteristics they can. Tasting note: Pale in colour. A nose of delicate citrus. The palate speaks of citrus, orange blossom and green apple. There is a tiny touch of sweetness on the palate also but this balances the racy acid on the finish. Final Say: I guess you could sum up Biodynamic farming as a holistic approach to the production of wine. One that leaves the winemaker with fruit that is untouched by chemicals. Fruit in its most pristine form? I’ll let you judge that one. 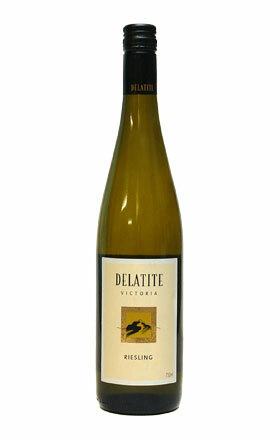 This Riesling sells for around $20 a bottle and is one of my favourite Aussie Rieslings.